As Europe and North America are taking the first steps towards implementing smart grids, the subject is also gaining ever more attention in South America. In Ecuador, the EPN in Quito is at the forefront of this development. The public university has opted for a laboratory from Lucas-Nülle to allow the subject to be studied and explored in a practically orientated way. 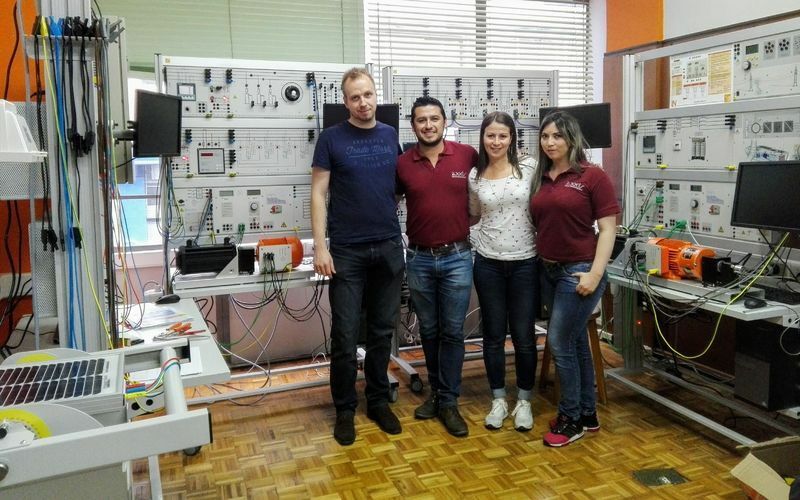 Marcelo Pozo, a professor at the EPN and head of the new laboratory, told daily paper ‘El Telégrafo’: “The training systems enable us to perform tests and simulations in smart grids. The idea is to carry out network tests to anticipate future problems and at the same time find solutions.” The laboratory also features training systems on the subject of power generation, power transmission and consumption as well as cyber security. “The focus is on efficient use of alternative energy sources; in other words, hydropower plants, wind energy and photovoltaics,” Pozo explains. In July 2017, the public university hit the headlines beyond Ecuador when it was rated as one of the best in South America by the renowned ‘Times Higher Education Ranking’. In particular, the journalists commended the high level of research activity among the professors and students.